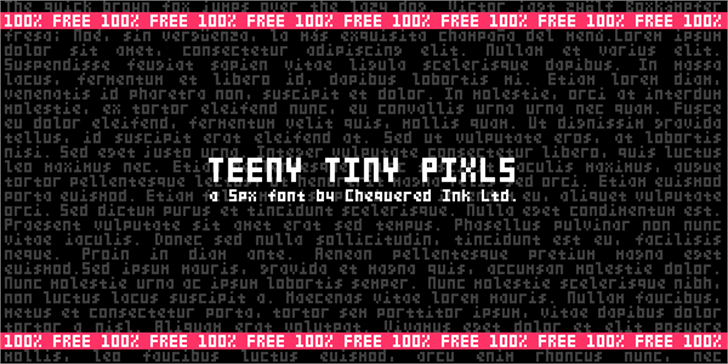 The perfect font for indie developers creating ultra low-res games! Every single character is 3px by 5px, with many European characters included. This is a bitmap font and is best displayed at 5pt (points) — need help?